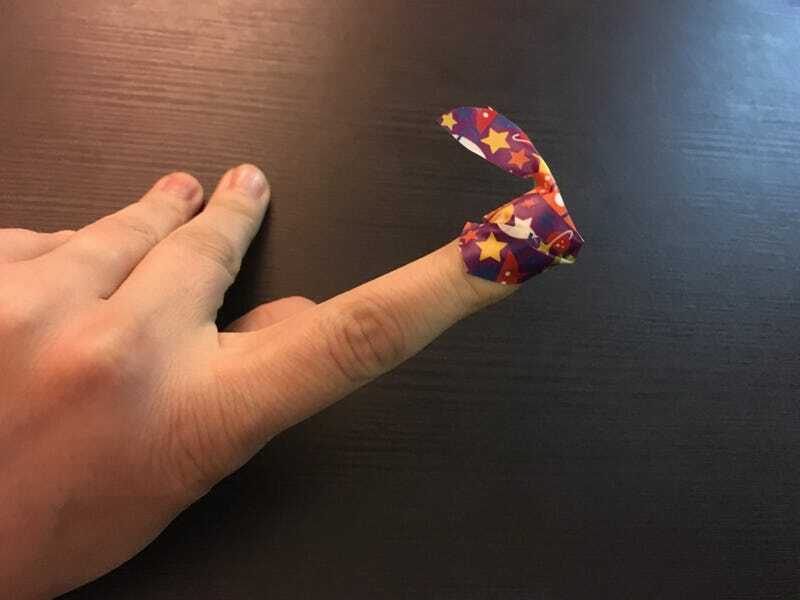 If you have a cut on the tip of your finger, don't despair when your bathroom first aid box only contains regular, straight plasters instead of those specialised fingertip bandages. You can make one with just two snips of your scissors. 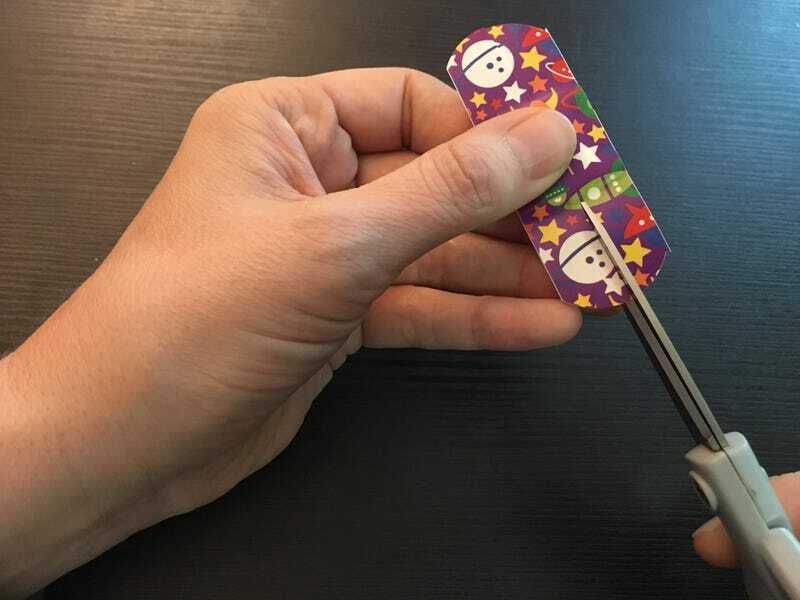 Cut each end of the band-aid (making sure not to get your germy scissors on the pad). 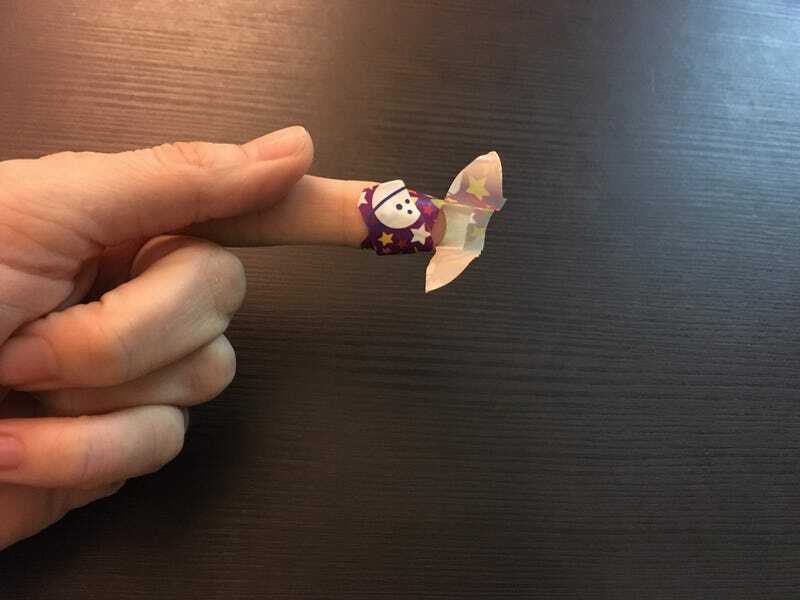 Wrap the first set of wings around your finger. The same technique also works for scrapes on your knuckles. 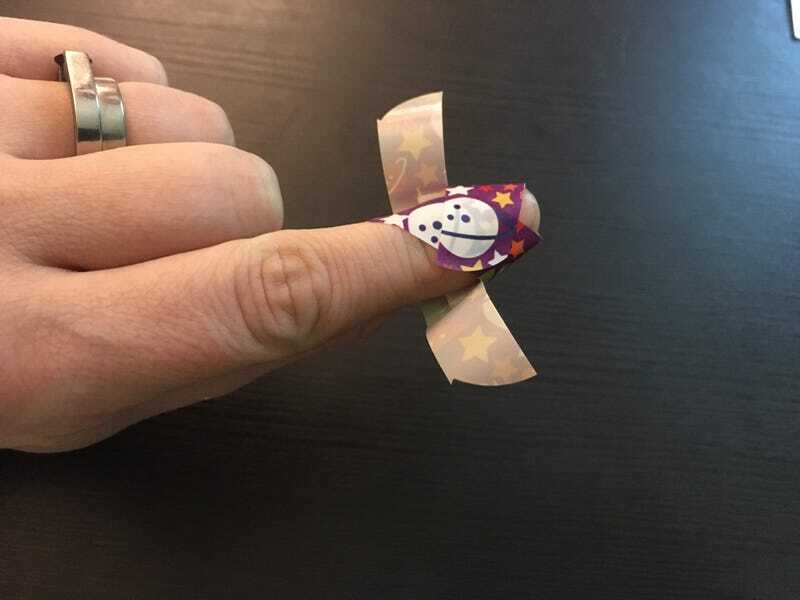 Or cuts on your finger pad, where a regular band-aid would slip off. Cut a lengthwise slit in each end of the bandage (only through the sticky part, not the pad). Take off the backing, and place the pad on the wound as usual. Wrap one set of the sticky wings around the finger. Adjust the pad as needed - this may mean bending it over the tip of your finger as if it were a tiny hat - and then wrap the second set of wings. This technique works whether your injury is on the pad of the finger, or at its very tip. 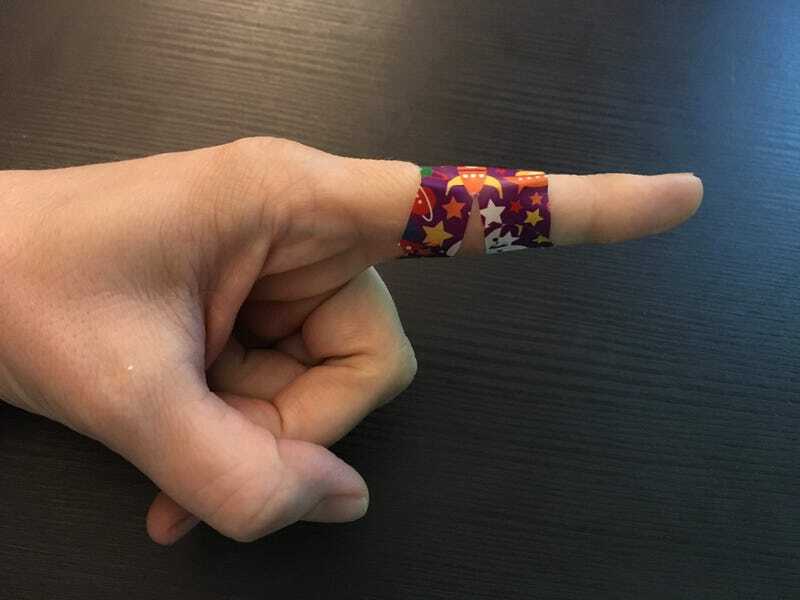 You can also use your altered bandage to cover a wound on a knuckle, although it won't work quite as well as a proper knuckle bandage.